All the people who trade in share market know Rakesh Jhunjhunwala, who is master mind in generating revenue from share market. Even most of us closely look at the Rakesh Jhunjhunwala Portfolio to invest in the company which took by Rakesh Jhunjhunwala. So, here is some share market tips we share by observing Rakesh Jhunjhunwala. These tips are the collected from various source, observing Rakesh Jhunjhunwala's portfolio and other common tips we follow to do trade in share market. So, here is share market tips by rakesh jhunjhunwala. Jhunjhunwala is best known stock market investor and has holding multiple shares since long time. Not every share he is holding is old one but he has hold many shares from starting and bought them at low price. 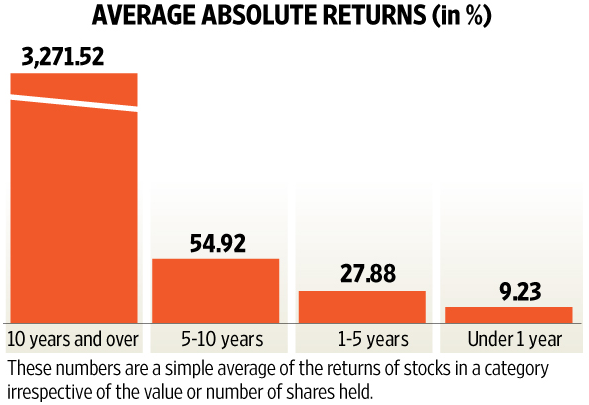 The average holding years of 84 companies shares which jhunjhunwala bought is 3.5 years. 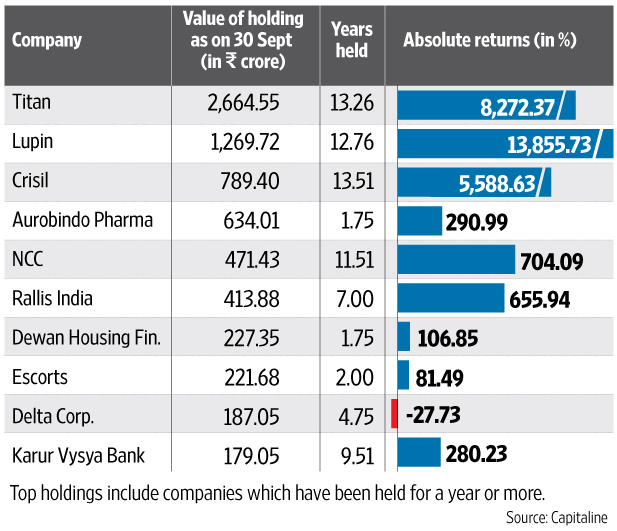 In these 84 companies, jhunjhunwala holding atlest 1 % share of companies. When we studied the simple average of the return of the stocks, it found that jhunjhunwala gets 3000 % + returns in the stocks which are hold for more than 10 years. And his average return on stocks he held for less than a year was 9.23%. If you found a stock or share which has good potential to grow or having good past performance, you should go for big shot. 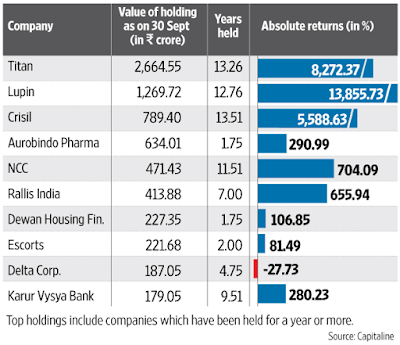 The top companies in which jhunjhunwala has big number of share holding is giving return as follows, Lupin (13,855.7%), Crisil (5,588.6%) and Titan (8,272%). These shares are spotted by jhunjhunwala when it was launched, now doing perfectly fine. Even Amitabh bachchan done the same, when Just dial was launched, he bough many shares and holding till now, earning big. 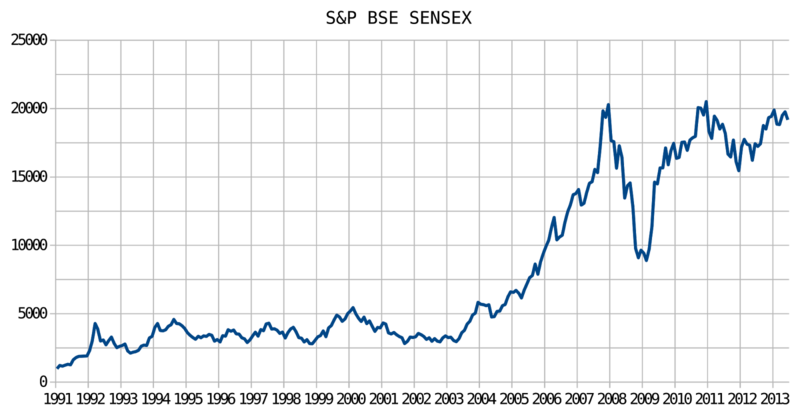 In the long run, stock markets in general have been seen to move in an upward direction. Whenever sensex-nifty goes down, people start avoiding share market as they feel not good time to invest, but the thing is, when sensex goes down, it is time for buying, get all perfect shares at low price. * Currently Sensex is at nearly 26k. 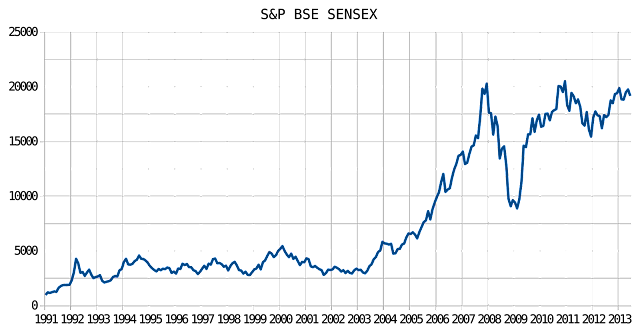 The S&P BSE Sensex has risen from a notional value of 100 in 1979 to a high of 30,024.74 on 4 March 2015, Jhunjhunwala’s three biggest publicly disclosed bets are all more than 10 years old. This includes Titan (Rs.2,720 crore), Lupin (Rs.1,270 crore) and Crisil (Rs.789 crore). Always hold Pharma, IT, Construction and auto sector shares for long time. if you are interested in investing in mutual funds, here is list of best mutual funds to invest in 2016.